Allan J. Reitzer has served as a mediator in over 1000 mediations to date. His practice focuses on alternative dispute resolution – mediation, arbitration, and collaborative law. He also practices all aspects of family law, including divorce, child custody, property division and adoptions. Allan graduated from Southwest Texas State University with a Bachelor of Healthcare Administration. Prior to embarking on a career in the legal industry, he was employed as an Auditor at M.D. Anderson Cancer Center. He received his Doctorate of Jurisprudence from South Texas College of Law where he was a member of Phi Delta Phi International Honors fraternity. 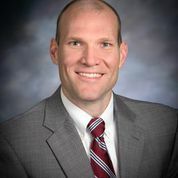 Upon graduating from law school, he opened his own practice and handled a variety of civil litigation cases, including real estate, family law, and other contested civil matters. In 2006, he narrowed his practice to solely family law. His attention to detail and expertise in negotiating allowed him to easily segue into a practice heavily focused on alternative dispute resolution. Allan has lived in The Woodlands since 2006, and has two daughters with his wife, Jennifer Reitzer. The family actively participates in cycling, racing, and triathlons. Allan trains with the local team, South Coast Endurance, and has successfully completed many endurance events, including World Championships, The Woodlands Marathon, Ironman, and the Alcatraz Triathlon. His knowledge and background allow him to succinctly narrow issues in complex property and custody cases, and his hands-on approach makes him a well-respected mediator and a highly skilled and prepared advocate in contested litigation matters.